The Rawlings Gold Glove Awards in the Major Leagues are handed out each year to the player that’s supposedly the best defender at each position in each league. In the Minor Leagues, things are a little bit different. There are six levels (assuming we count complex level rookie leagues and non-complex level rookie leagues separately, as well as Low-A and Advanced-A as separate leagues) in the minors. Within those levels there are also multiple leagues. Because of that, the Minor League Gold Glove Awards are handed out to just one player at each position throughout the entire minors. 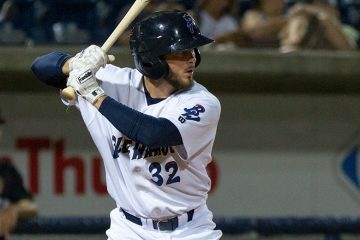 At the shortstop position it was Cincinnati Reds prospect Blake Trahan who got the nod and will be bringing home the hardware for 2018. 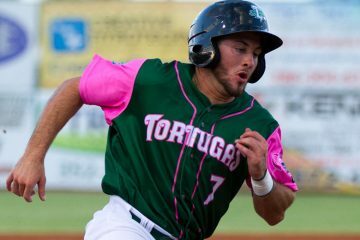 Drafted in the 3rd round of the 2015 Major League Baseball draft, Blake Trahan has worked his way up to the Majors. After playing in Triple-A with Louisville all season, the Reds brought him up in September in 2018. He got into 11 games, racked up 14 plate appearances and played 34.2 innings in the field. 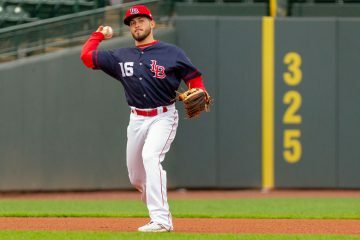 With the Louisville Bats he played in 129 games in 2018. 127 of those games came at the shortstop position. In his 1102.2 innings played he only made eight errors. That was good for a .984 fielding percentage. That mark was the best in the minors and is what is used to determine who wins the award. He was also a part of 66 double plays turned during the season. Blake Trahan has always been rather sure handed and made quality throws. His first year as a pro he made 10 errors and posted a .962 fielding percentage. This was by far the worst year of his professional career in the field. In 2016 he spent the entire year with Daytona and had a .974 fielding percentage. The next year he was in Pensacola all season and had a .982 fielding percentage, making just nine errors on the year. In his limited big league action he didn’t make an error. He had 21.1 innings at short, 9.1 at third base, and 4.0 at second. 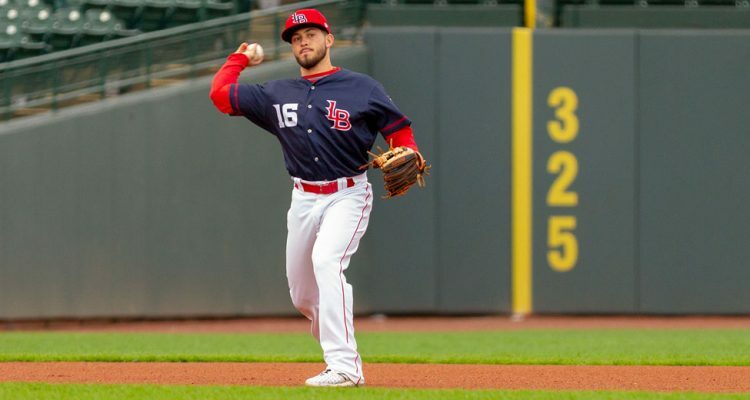 Blake Trahan is the second Reds minor leaguer to win a Gold Glove at the shortstop position. Former Reds prospect Zach Vincej won the award in 2016. Tucker Barnhart also won the award for catchers several years ago. You have got to be kidding me. You don’t think Peraza had a good year? LOL! What was it you found impressive about Jose Peraza’s defense? His .962 fielding percentage? His 22 errors which led all of baseball?? His negative marks in all metrics??? Maybe it was being ranked dead last of all SS in baseball by Fangraphs total defense stat???? Actually that’s not true, metrics were limited to just total zone fielding and range factor early in their careers but total zone found Larkin better than average his first 6 years in the league and range factor just below 5. Concepcion total zone found him phenomenal 5 of his first 6 years while not playing SS full time and range factor above 5. For comparisons sake, Peraza comes in at -10 in total zone and his range factor is below 4. Well, Peraza is no Derek Jeter defensively at SS but who is? Everyone else in baseball was better defensively. His OBP of 326 is also not good. But it was better then Hamilton.